The perfect combination of sophisticated and romantic, this lace and creep wedding dress from Aime Couture will become an instant favorite! 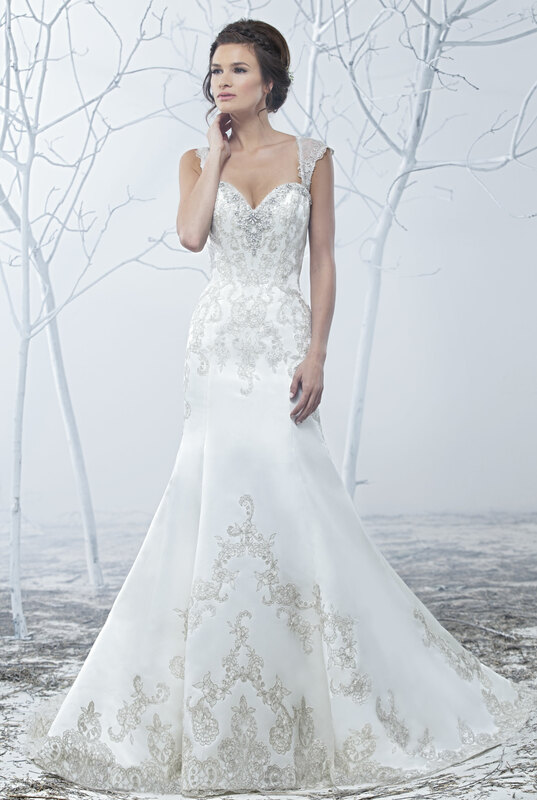 With both a high, lace neckline and a peekaboo down the middle, this gown gives brides the best of both worlds. 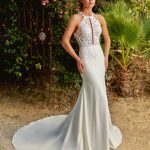 The modern lace from the neckline extends down through the bodice and over the hips, lengthening and flattering the figure. The back of this gown features a slight racerback in a lace pattern that follows down the back.